an early collector of the species from the late 1800’s. are placed in the family as mollies and mosquitofish. as well as Trinidad and northern South America. and shipped to pet stores all over the world. often seen in pet stores labeled “feeder fish”. however, which are a joy for many who keep them. when given top quality food, water, and care, gained much size. similar to the veil tail of today. round tails, and spear tails. by which to judge them in guppy shows. and keeping each strain (colour) breeding true and as similar as possible. as more strains are constantly being developed. the outcome would resemble the original wild guppy. the resulting guppy would loose much colour and size. An ideal temperature for adult guppies is 72 to 76 F.
Fry are often raised in warmer water for the first 2 or 3 months (78 – 80 F). The guppy is a live bearer, with an average gestation period of 28 days. The female guppy has drops of between 2-200 fry, normally about 30 to 60. The female matures at about 3 months, the males earlier, at around 6 weeks. This depends on genetics and environment. The life span for a well cared-for guppy is 1.5 to 3 years on average. for the first 2 or 3 months (78 – 80 F). the shorter it’s life span will be. (if sufficient food is given) so it is helpful to keep fry warm. The guppy does well in medium-hard water. is acclimatized carefully and does not experience pH swings. be very careful choosing tank mates. and will not survive with aggressive or fin-nipping fish. See the bottom of the FAQ page for more help. it is possible for guppies to live in salt water with proper conditioning. 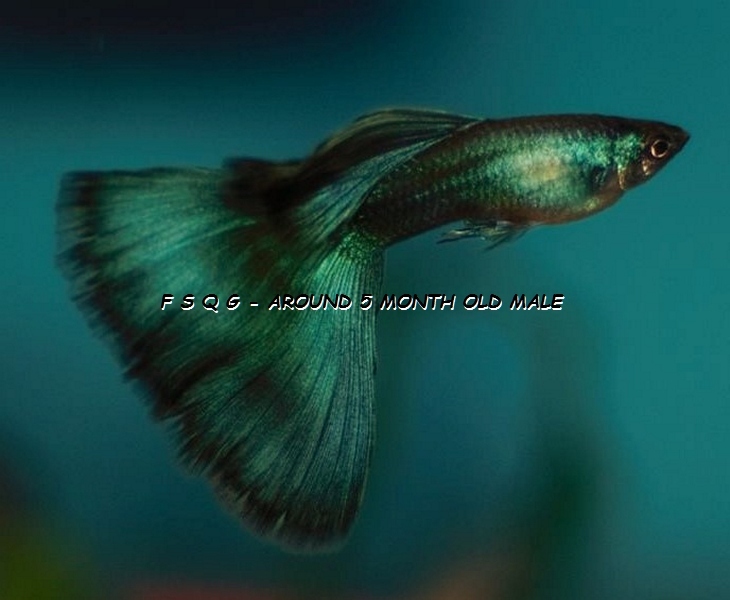 This entry was posted in Guppies - breeding, Guppies - for beginners, Guppies - water temp., Guppy Blog - Guppies corner and tagged Guppies, Guppy, Guppy Facts, guppy fish, Mary Jane. Bookmark the permalink.